Confirming the development in an interview on Wednesday, National Library Public Relation Officer (PRO) Gray Nyali confirmed that the rehabilitation works will start any time this year. “We will start rehabilitating Blantyre National Library any day this year. We came up with reforms at National Library in order to generate income so that we could fix everything that is in bad condition. The water problems at the library will be fixed and all the faulty components will be maintained,” he said. National library introduced a K100 fee for everyone who wants to access the library. 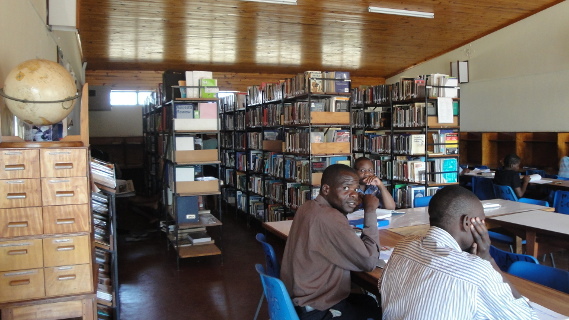 Of late, some members of Blantyre National Library complained that the condition at at the library is not conducive for studying saying currently the library has no access to water and people have to dig deeper into their pockets to buy water outside the library premises. Commenting on the situation at the library, Kondwani Kambilinya a student from Blantyre Secondary School who patronizes the library said there is need for immediate rehabilitation at the library to improve the learning environment. “The library also needs a brick fence so that people who are reading at the library should not be distracted by what people are doing outside the library. The library is at a busy place near a busy road where many people and cars pass. Moreover, the library does not have tap water and when we are thirsty, we go and buy water outside the library,” he said. In addition, Amosi Wasali, another Blantyre National Library patron said that the library does not have a toilet forcing people to use a pay toilet which coasts them K50 every time they want to relieve themselves which is expensive.